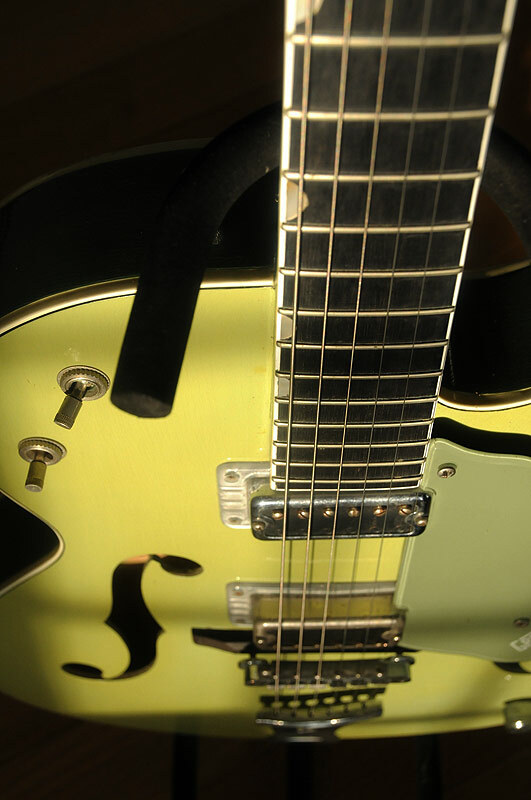 A close listen to every Depeche Mode album from 1987’s ‘Music for the Masses’ onward reveals an increasingly significant role for 6-strings, including the cleanly plucked harmonics and swinging, half-Johnny Cash/half-Goth acoustic riff that drove 1990’s ‘Personal Jesus’ and the glorious Gretsch tones that highlighted ‘Enjoy The Silence’. 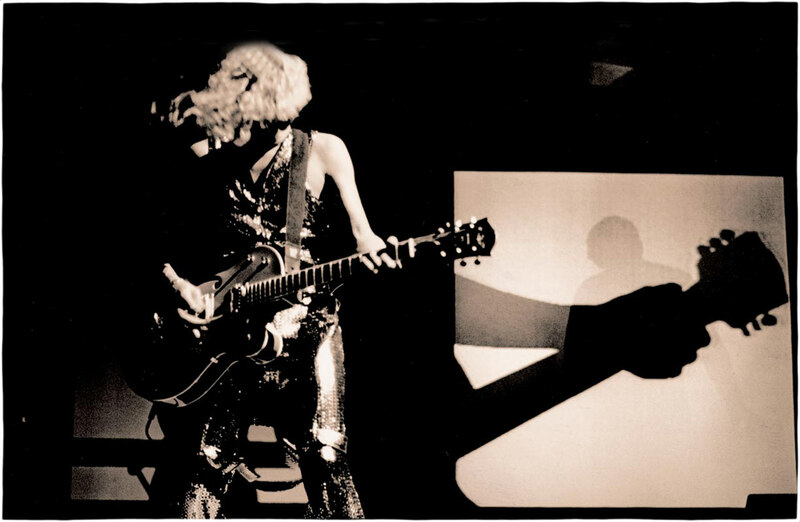 In fact, although guitar rarely commands the spotlight in the traditional sense on planet Depeche, co-founder and primary songwriter Martin Gore – who also handles keyboard and occasional lead vocal duties – ensures that they play a far more integral role than many listeners might realize. 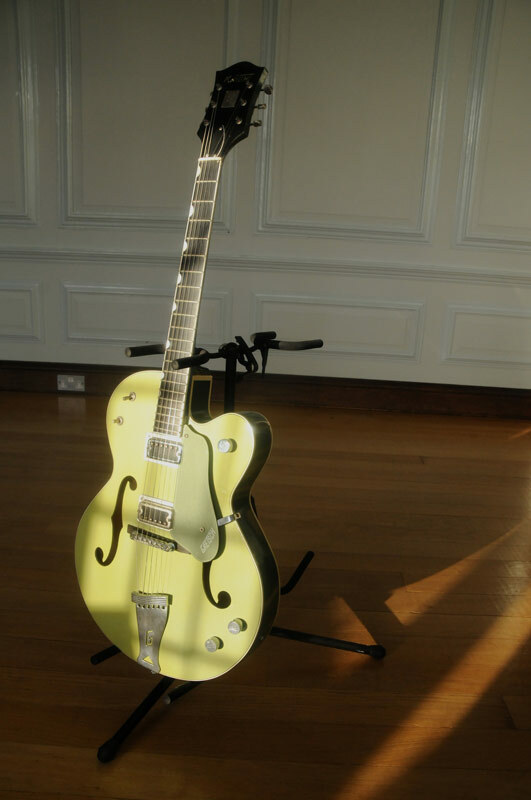 It is common knowledge that in more recent years Martin has been an avid collector of guitars, gizmos, synths and effects via eBay. 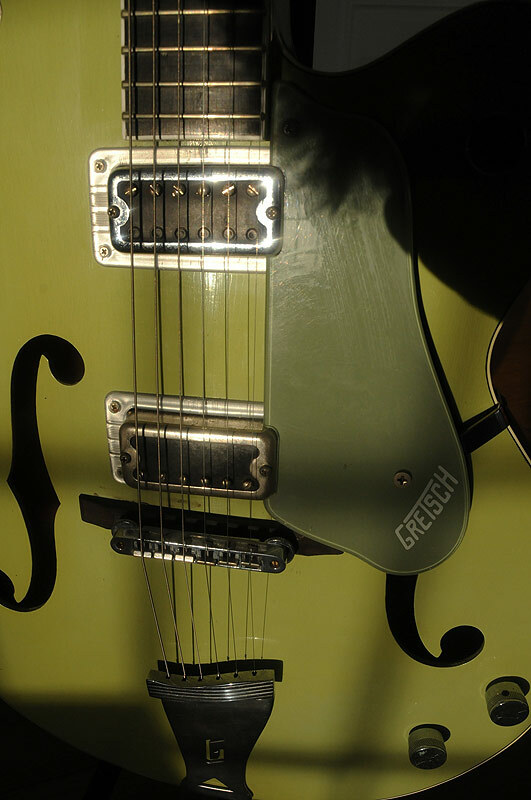 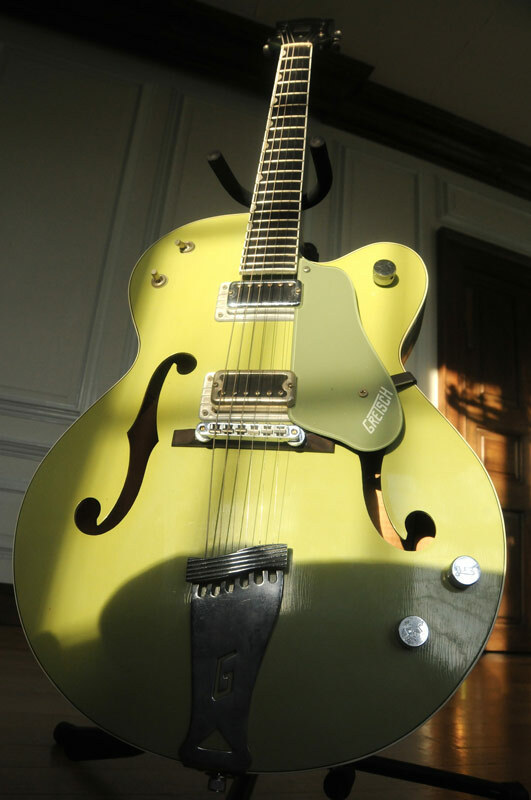 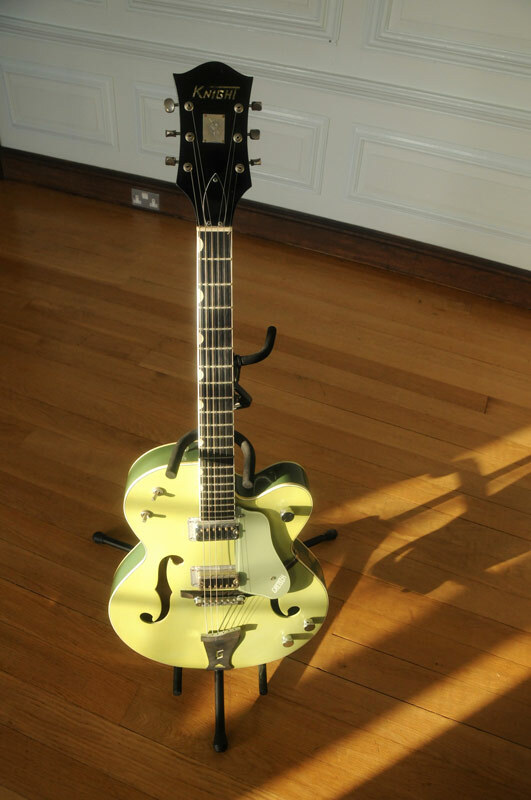 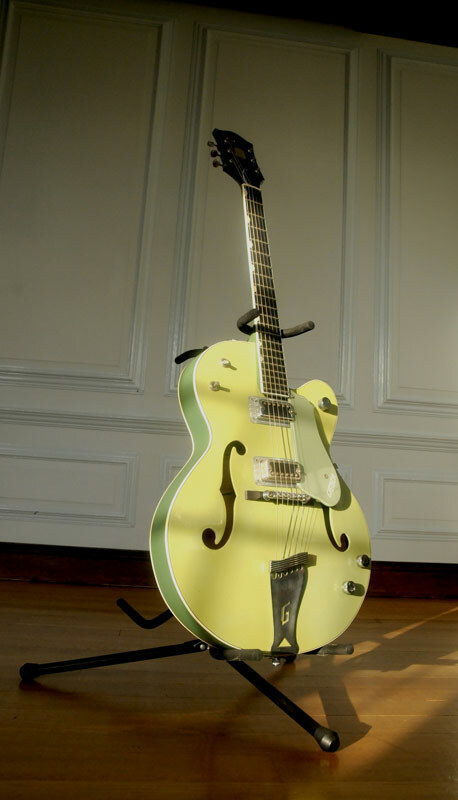 Despite his eBay prizes, Gore’s favorite guitar remains his beloved lime green Gretsch Double Anniversary, dubbed “the Green Knight” after luthier David Knight, who modified it in the early ’90s to be feedback resistant.